If you are serious about improving your daily work productivity, having a best fit calendar app for you to organise your time is of the essence. We did search through for top 5 android calendar apps that are available for you. Sunrise calendar app has got neatly built-in interface and does provide a constant performance experience to the users. The Sunrise app does not hold any calendar of its own but it provides a stylish view by aggregating Calendars from other sources such as Google, Facebook, Apple iCloud, Github and Eventbrite. Sunrise calendar app has got simple and user-friendly interface. Sunrise app view provides multiple Calendars and Events. A better view of the Day, Week and Month ahead will be provided from the above sources. You can also logon to Sunrise app with a Google and Facebook account. As you type on Sunrise app it gets help from Google to auto fill-in. 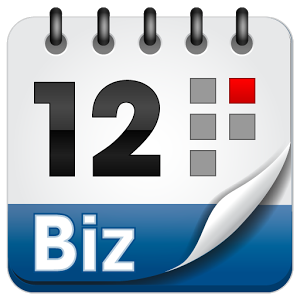 SolCalendar is one the best calendar app for android esthetically provided to Android users. SolCalendar is very well recognised for its implicit functions and aesthetical designs. It is also provides better task performance and management to the user. SolCalender works as an alternative to Google Calendar as well. SolCalendar provides well designed free stickers and weather information. Calendar app does support your to-do list and manages your appointments at the same time. SolCanlender displays not only appointment also displays holidays. Most beautiful Calendar app for Android apps. Daily briefing of your new year resolutions. Cal Calendar is one the best designed app and it has got all basic features. If you are looking for a calendar app that not only organizes your business tasks also personal life this Cal app serves the best for you. Cal app will unleash the best of Android. Widget feature helps you to review quickly your reminders from home screen without opening the app. Voice entry and auto correction: You can simply speak and can also autocorrect the meanings as you type in the text. Smart on events: Cal app predicts who you want to meet, gives suggestions for your meeting places. This app has got real time sync feature which includes Google Calendar and Exchange. aCalendar will provide all sorts of functionality that you would expect from a calendar such as reminders, widgets, easy scrolling view. 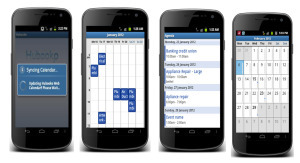 aCalendar app has user friendly screens and can transit easily from one view to another. aCalender app for free and it has got an implicit navigation and easy transition between month, week and day views. You can import birthdays and photos from your phone address book. aCalendar app has got 48 colors per calendar and 12 per event. Your phone battery does not drain. aCalendar uses Android own calendar backend and synchronization. Google calendar is the default app that is provided for all Android based phones. It comes up with pre-installation app for Android phone and serves the best purposes for its users that any calendar that can offer. Google calendar features and functionality also competes with its peers as well. You can get day, week and month agenda views from Google calendar. Each day in calendar can be color coded. Provides an overview of each daily entry. There is an option to set-out appointments to repeat daily, weekly and monthly. Above stated great feature and functionality of each app may not be comprehensive but highlights the key bullet points of each app. However, each app has got its own pros and cons but you can choose the app that serves the best based on your business, family or personal tasks to bring productivity in your daily life.